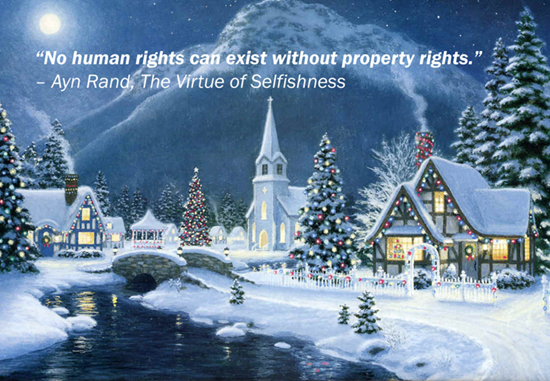 Have a very selfish Christmas everyone! 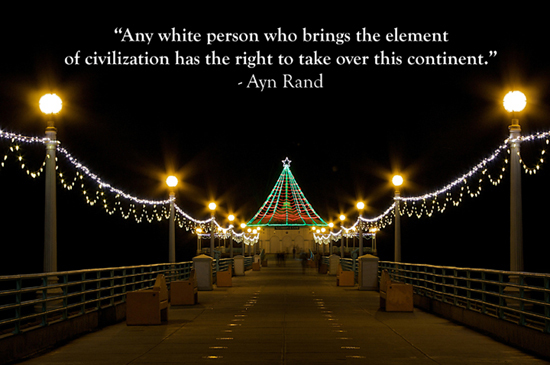 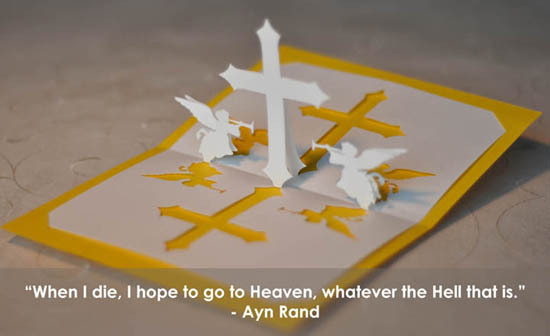 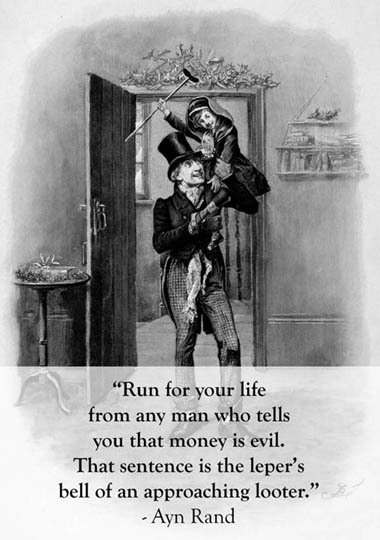 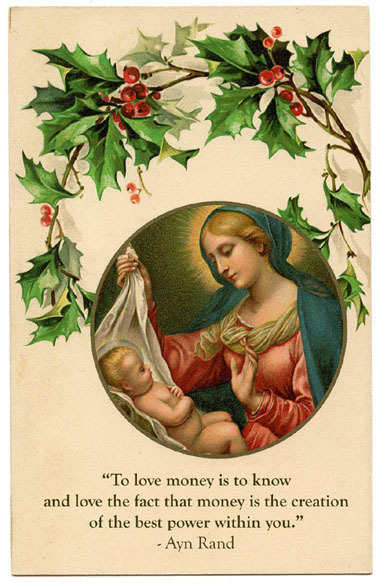 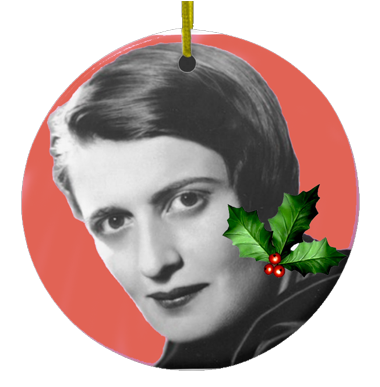 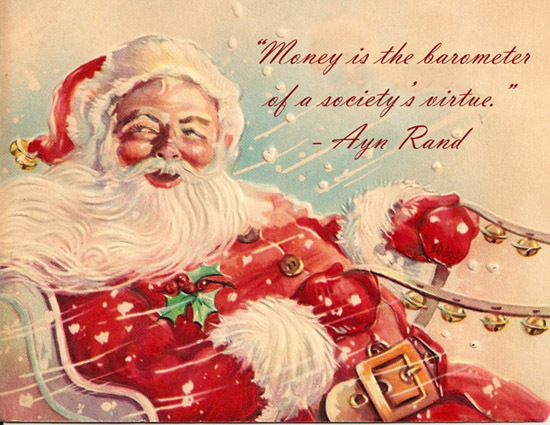 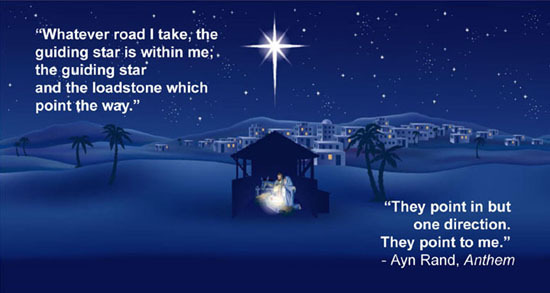 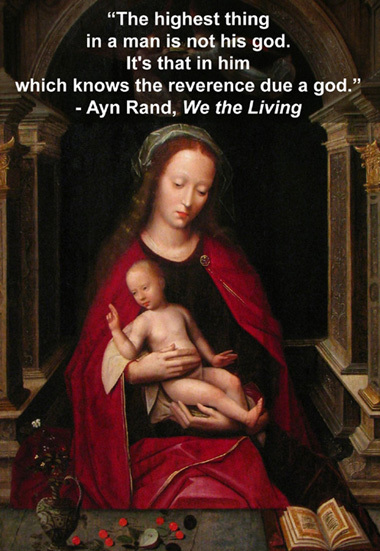 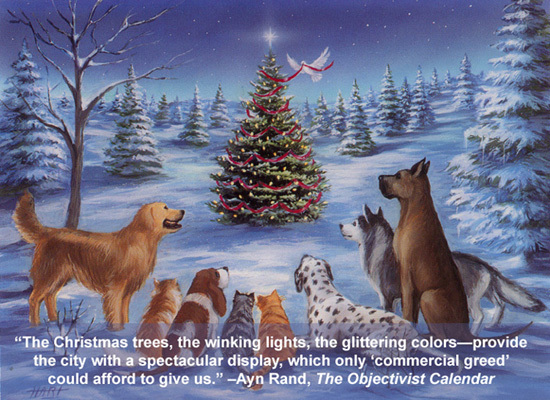 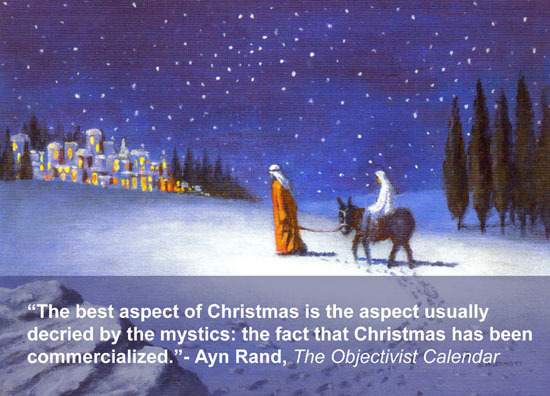 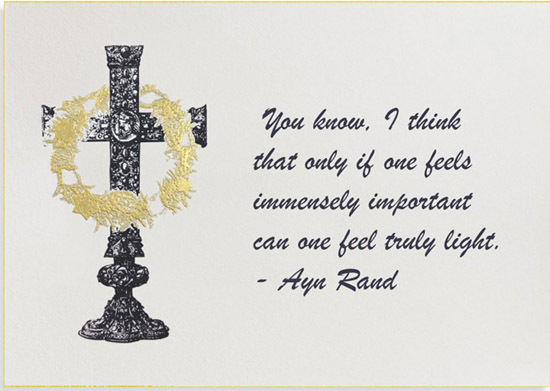 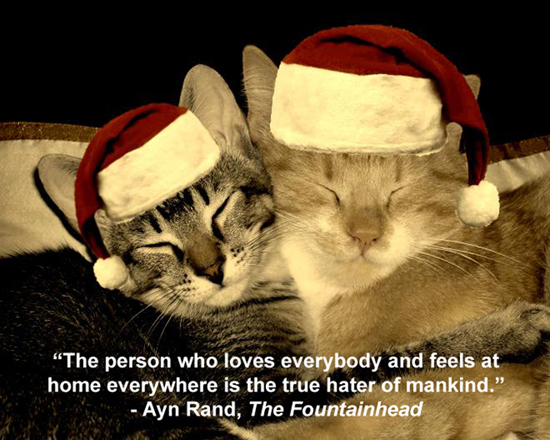 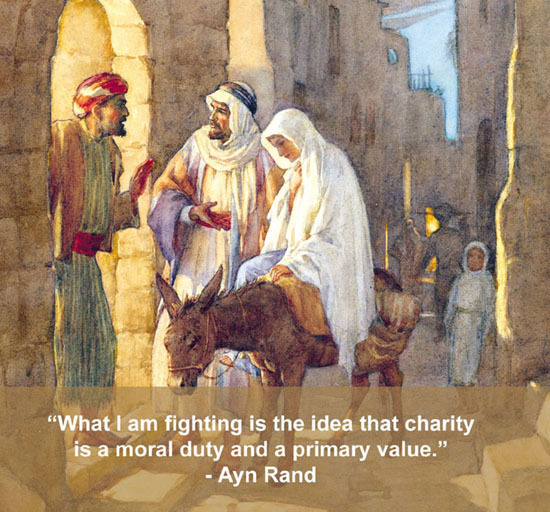 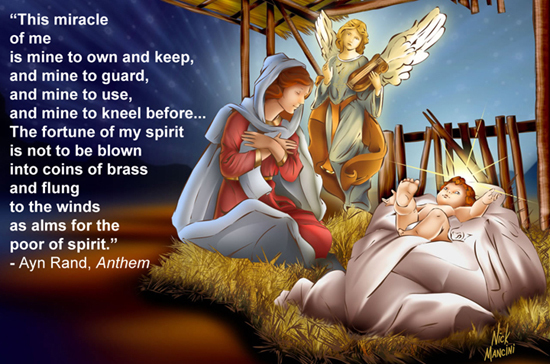 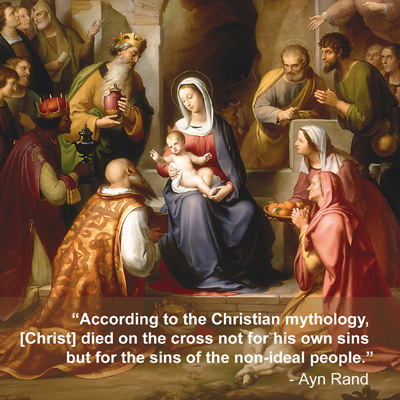 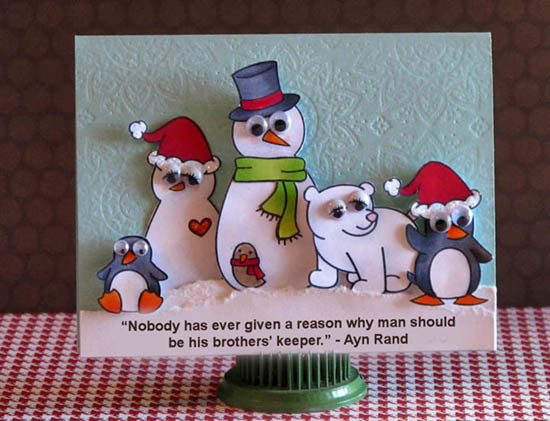 *The representative from the Ayn Rand Archives called me a looter and screamed something unintelligible so some Christmas cards may be fictionalized representations of actual Ayn Rand Christmas cards. 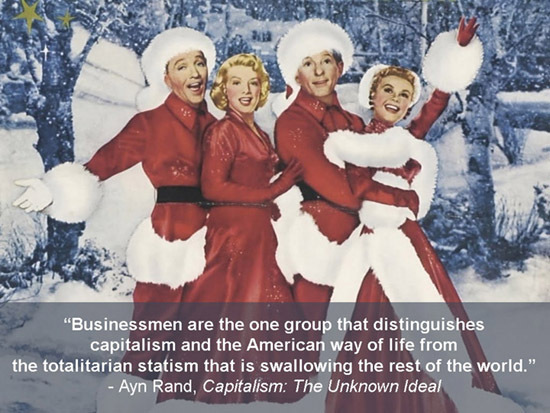 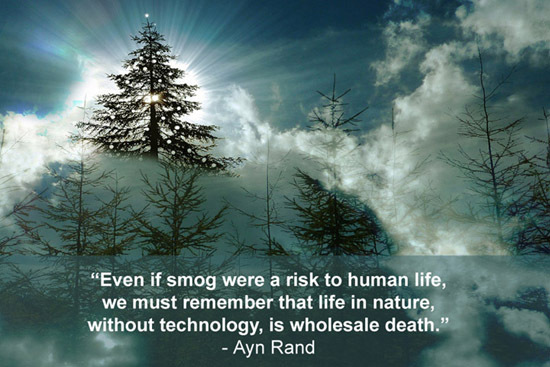 Cross posted at Daily Kos and Alternet.